36" gold, wire sparklers are the longest sparklers available! 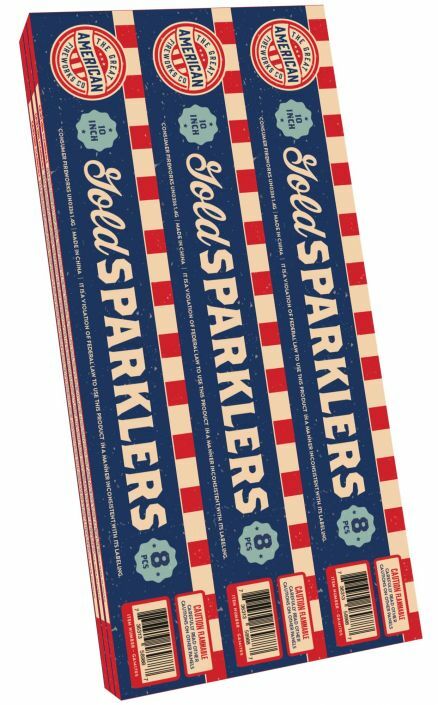 These specially formulated sparklers are perfect for bottle service and cake presentations. They burn with a near-smokeless, gold-sparkling flame for about 40 seconds. They measure 7.5" long, and .5" in diameter.